Pianos are beautiful instruments and those who develop love for playing this instrument may need to spend hours of quality time for learning, practicing and playing music on a piano. For people serious about piano playing, they would want to spend a lot of time experimenting and learning new techniques with piano. For such people, getting one of the best headphones is important. Two important considerations for choosing a good quality piano headphones would be that you make sure that that pair is comfortable on your ears and that it doesn’t leave you hearing unimpaired. So not only choosing a right digital piano is important but a good pair of headphones choice is equally important. Many of the modern pianos are appointed with a headphone jack that gives you ease of adding a headphone to your instrument so that you can practice at any time without disturbing others. Headphone Technical and Specifications – Do you understand? What to look in a headphone for digital piano? Pianos are one of the best instruments for exploring and expanding your musical interest and capabilities. Music is a wonderful way to release your stress and is an interesting mode of expression. No matter how much you love music and piano, you may need to limit your time of playing piano loudly for different reasons. So in order to make sure that you can practice for unlimited time at any hour during day or night, headphones are simple solution that you can use with your piano to play your projects loudly whenever you get time and as you please. Blocking distractions and disturbance of outside world and gives you complete privacy of crafting a unique musical piece or song. It aids you for practicing in silence. Keeping your neighbors at peace as your headphones would prevent loud noise of your piano from bothering your neighbors. People sharing your house would also remain at peace and would not be disturbed with your practice. This is one of the main problems especially with piano learners; you may disturb a lot of people living in your household. It even becomes a trouble for you to practice during odd hours (sleeping time or late at night). People would not appreciate your sound loudness at that time especially if it doesn’t sound nice and you are practicing. Not all headphones would be comfortable but you should choose a comfortable and good quality pair so that you don’t need to struggle with headphones while struggling with notes on your piano. Most of the headphones can be used with other electronic devices as well such as mp3 player, laptop etc. You can find some noise isolating headphones that are designed to block all the background noise as you plug them in to listen to music on keyboard. 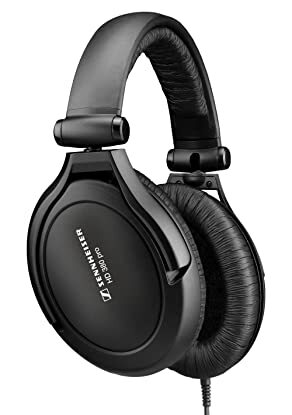 There exists some noise cancellation headphones too that are designed to negate some of the selected frequencies and these are specialized equipment used in recording studios by artists and producers to give perfect sound. This equipment gives you a powered and perfectly isolated clear music and sound. Open Back Headphones: Open back headphones as the name suggests are headphones with open back of the ear cups. These are over the ear headphone type that gives you more spacious sound and the sound would be more natural than the closed back headphones. Their sound would truly be bigger but at the same time there will be more of noise from outside environment. Great overall sound quality and sound is bigger and wider. More of speaker-like feel and effect of sound. More realistic sound. They are significantly easier on ears of listener. Would not be a suitable choice in an environment where there is a lot of external noise as it doesn’t block environmental noise. Bass is lost to some extent from sound with an open back headphone. In most of the cases, open back headphones are more expensive. Closed Back Headphones: Closed back headphones have the ear cups closed at the back of the headphones. Their main advantage is that they give you improved bass response. Although the sound would not be as big in comparison to open back ones but sound would be contained within your ear cups and it would be compressed. This is another advantage that you can listen well even when you have lots of sound and noise in the outside world. Thus music from your instrument will remain within your ear cups and all the external noise would remain blocked. But when you have a baby around you or you have an emergency phone call, it would be difficult for those things to gain your attention while you have your closed back headphones on. Best known for optimum external sound isolation so you can focus more on your music. Best for practicing in a learning class where many students would practice at the same time with their instrument. Improved bass response and music presence is ensured with a closed back headphone as the sound is sealed. More cost-effective in terms of price comparison between closed and open back headphones. They are powerful and well-built. As the sound from these headphones is sealed, sound doesn’t appear to be natural and it feels like playing in your headphone. So for lengthened practice sessions, these headphones may be a bit uncomfortable for pianists. For all the serious musicians and pianists, you would need to search for a good pair of headphones for piano so that you can enjoy high quality level of sound. So here we have highlighted some headphones for digital piano for pianists to review and make their choice. 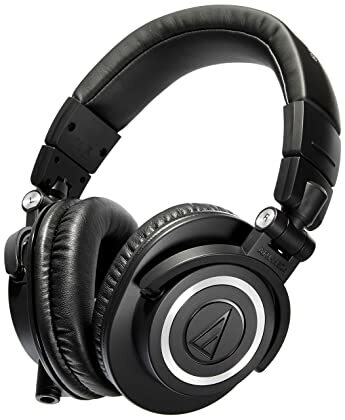 These headphones by Audio Technica are impressive choice to be used in recording studios for mixing, tracking and for other related applications for creation and composition of sound. Featuring 45mm Neodymium drivers, this well-rounded pair of headphones features a closed back over the ear design that gives you critical listening and complete noise isolation for clear undisturbed sound. It includes copper-clad aluminum voice coils along with an extended frequency response of 15-28 kHz that is absolutely beyond the range of normal hearing. So no frequency could get unnoticed with this device. 90 degrees swiveling earcups offer you complete comfort of use and the design is foldable and collapsible that can be easy to carry and store after use. Thus not only it fits well but it stays well and can be stored well. It features three detachable options for cable with straight and coiled cable included. Design of headphones is light weight metal and it features additional padding to give musician complete comfort during the phase of creating unique sound pieces. Added padding gives a complete seal and a personalized fit that makes it one of the ideal headphones for piano. High quality durable metal construction. Closed back design and noise isolation. Adjustable design for customized fit. Some users found it heavy and bulky. Build-up of sweat on ear pads is complained by many users. Offering impressive noise cancellation, the Sony MDR7506 features a closed ear headphones design and low impedance to become an outstanding choice when it comes to digital piano headphones. This headphone offers a lot of sound volume for your studio that would be clear, sharp and crisp at any level of volume. This pair is a powerful yet lightweight and comfortable to wear device for prolonged musical sessions with your keyboard. Construction is durable and it has a foldable design that makes it easy to carry and store. Powerful stretch and spring back kind of coiled cable is another advantage that gives you additional reach. Deeper sound range and bass is enabled with 40 mm diameter drive size. So if you need high quality sound, this is the pair of headphones that you should buy. It features smooth frequency response ranging between 10 to 20 kHz. Moreover it is backed by a name that is not unknown and Sony is already known for its range of high quality products. Rugged construction and high quality closed ear design. Impressive sound reproduction with the best available noise isolation. Professional sound and excellent power handling. Headband padding for added comfort. Beautiful design and some exclusive features make this headphone stand out in the crowd. Sony MDRV6 is designed with circum-aural oval ear pads design that gives you isolation from environmental noise. Rock neodymium magnets and 40mm drivers give you premium quality sound detailing with wide sound dynamics. It features a wide frequency response ranging from 5 to 30,000 Hz thus a pianist can get a wider variety of sound with the use of these headphones. 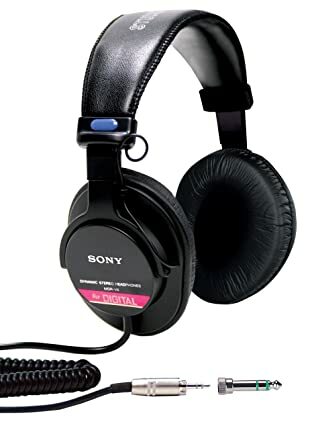 The headphones are styled with handy and classy leather and a carrying case by Sony is also included with the purchase. The headphone has a long copper coiled chord that gives you additional reach with maximum conductivity and reduced noise. These set of headphones are wide and padded thus making them more comfortable to wear on for hours of listening and practicing piano. Design is such that headphones can be easily folded after use. Perfect choice for professional use. Cost-effective choice among best headphones. Some sound leakage is reported. Fit may not be perfect for some causing some discomfort. 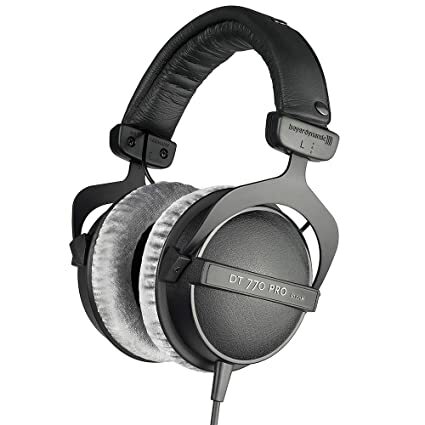 Excellent quality at exceptional price for professional use can be truly said for Beyerdynamic DT 770 Pro in the series of best headphones for digital pianos. This set of headphones is the right choice for critical listening and other applications where you need unmatched sound reproduction. It features an innovative design with best of sound stages and studios. Construction of these headphones is durable and at the same time it is light weight and extremely comfortable to wear for hours with Velour Ear Pads. This product has uncompromised quality and all its key elements have been developed in Germany. This closed dynamic headphone includes single-sided cable that makes it absolutely simple to set up and use. It is perfect for monitoring, production, and recording and for all other in studio applications at professional level. Single sided cable for ease of use. Absolutely huge in size and thus some people may not find them attractive to wear. Another interesting choice for demanding professional use is the absolutely comfortable choice of headphones named Sennheiser HD 380 PRO. This pair of headphones is exceptionally light weight and features a closed circumaural design for excellent ambient noise reduction. 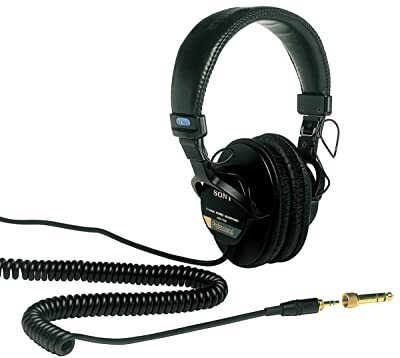 This headphone comes with a replaceable single sided coiled cable along with Ergonomic Acoustic Refinement diaphragms. A slimline carrying case is included as you purchase this headphones set. With a 2 years warranty, this headphone is compatible with latest tablets too which makes it easier to manage. Authentic sound reproduction is handled with this ever so demanding headphones set. Parts are also easily replaceable and the shape and size of these headphones are practically perfect for multiple professional grade applications. Carrying case included for ease of storage after use. It gets a bit sweaty during use. Fit is a bit tight. Frequency Response: Frequency response is typically an indication of the range of audio frequencies that your headphone can reproduce. It shows the range of bass, mids and treble and is represented in Hertz. Usually headphones have a frequency response of 20 to 20,000 Hz and are similar to human hearing range. Better frequency response doesn’t really mean a better quality of sound. Usually any frequency response below 20 Hz would only be felt not really heard and anything above 20,000 Hz would not really be audible. Impedance (Ohms): Impedance with headphones is the measurement of electrical resistance that could be high or low represented by Ohms. High impedance would mean high resistance and thus headphones would need more power to drive. Similarly lower impedance is less resistance and thus low power is needed for such headphones. Low impedance headphones are designed to be used mostly with portable mobile devices which are usually below 32. For low impedance headphones, low voltage and higher current is used. This high current causes a vibration/hiss sound with these headphones. For high impedance headphones, a dedicated amplifier would be needed to give additional power. Some really good quality high impedance headphones would have a measure of more than 300 ohms. Impedance would directly affect performance so it is important to select right type of headphones for you need. For a piano, it would be best to use high impedance headphones. Total Harmonic Distortion(THD): When you use headphones at a high level of volume, you may witness some amount of distortion; this is termed as total harmonic distortion (THD). Headphones produce sound with the aid of a vibrating diaphragm but as you use these headphones on high volume; diaphragm wouldn’t vibrate at a quick speed and thus creates distortion. This distortion is measured in percentage and usually headphones have a level of less than 1%. Driver size: Driver is a significant part in headphone. It is responsible to turn electronic signal into sound. Drivers are basically designed with voice coils, magnets and diaphragm. Driver is presented in millimeters and is an indication of diaphragm diameter. Usually for a piano headphone, a 40 mm driver would be good choice. Although larger the driver, improved would be sound and bass performance. Sensitivity (dB): Sensitivity tells you how efficiently a signal is transferred and converted in an acoustic sound signal. Usually sensitivity of headphones is measured in decibels SPL/mW and headphones in general have a range between 85 to 120 dB SPL/mW. Although prolonged hearing of sound with sensitivity more than 85 dB is warned to have dangers associated with loss of hearing. Power Handing Capacity: It is the measurement of power that headphones can handle. Power handling capacity of a headphone is voltage * current. Any power above this measurement could damage your headphones. This measurement should be considered especially if you would be using headphones with an amplifier. Durability: No pair of headphone can last for more than a decade although it is still important to consider quality of your headphones. You can find some headphones that are robust and would work well with extensive use. Noise Cancelling: For a headphone, this feature is really important. Headphones with noise cancelling feature would detect external noise and cancel it so that it doesn’t disturb user. This feature is significant for those who are learning or practicing piano in noisy environment. It is also termed as noise isolation and it reduces the effect of external noise. Such headphones usually need power source and thus use batteries. Single Cord Design: If your set of headphones have single cord design, it would be much easier to handle as there will be less tangles and accidents to deal with. Folding Design: Portability and ease of storage is another feature to look for. If your headphone has a folding design, you will be able to store it safe after use and there will be fewer chances of damage and breakage. Moreover less storage space will be occupied after use. Sound: Sound is the most integral part when choosing to buy a headphone for your piano. Audio quality should not be overlooked and a headphone should deliver completely balanced sound with accurate treble, mids and bass frequencies. Deep and richer sound is appreciated and more of a natural sound is ensured with open back headphones. Although with this type, sound is more leaked. However for a noisy environment, closed back headphones are a right choice and these are best at preventing leakage of sound. Before you buy headphones, make sure that your prospective headphones have soundstage adjusted appropriately well. Comfort: Sound quality is most important but headphones that you choose should be comfortable as well. Comfort should be especially considered if you will be wearing your headphones with piano for an extended time frame for practice and performance. Make sure that headphones have quality padding and adjustability features so that whenever you put them on, you should not feel uncomfortable. Many headphones are offered with impressive sound quality along with comfort over ears of pianists. Price: A new pair of headphones can be purchased within a range of 10 USD to 200 USD or even more. No matter what budget you have, you can still get a pair of headphones for digital piano within your price range. Although for a quality set with sound quality, comfort and other features; you would need to do some good research. Expensive sets are usually built with high quality durable material and usually sound better than cheap headphones. But there can be exceptionally expensive models too with a price range above 200 USD. So, one have to look for his/her own budget in order to make a suitable purchase. Your headphone would have a right (R) and left (L) insert. Note the difference between these two sides and use headphones in the right manner. While wearing headphones, make sure that you have made right adjustment so that it fits your ears comfortably and appropriately. Too loose, too tight or other wearing discomfort may cause fatigue and you would not be able to focus on your piano practice and learning effectively. All the headphones usually come with different size options, experiment and find a perfect fit of size and style for you. In order to ensure superior sound quality from your headphones, keep them clean and free from moisture. Avoid prolonged sessions of using headphones with piano. It would be a good idea to take a break after 30-45 minutes of use in order to give your ears some rest before beginning to play your piano again. While connecting your headphones to your piano or any other listening device, make sure you turn the volume of that device down. After connecting headphones slowly raise the volume of your device to a listening level that is comfortable for you. Avoid using headphones in noisy environments as when you have external noise; you would be inclined to raise the volume. If you begin to hear a ringing sound in your ears, this may be an indication that sound level is too high. Adjust volume accordingly. If you begin to witness any sign of discomfort with use of your headphones, immediately discontinue its use and consult a doctor to get your ears checked. Avoid dropping or striking your headphones as it can destroy your unit. Avoid listening high volume of sound with headphones. Extended duration of high sound exposure can cause hearing loss and disorder. It could even cause permanent hearing loss. For those who have pacemaker or any other medical electrical devices should consult their doctor before opting for any kind of headphones. Do not expose your headphones to rain or liquids or extreme temperature, it can cause damage to your headphones and can even cause you an injury while using this damaged device. If overheat or any kind of great discomfort is observed, you should immediately stop use of your headphones. Buying a comfortable pair of headphones is not a daunting task provided you know how you will be using those headphones and what features are important to you? With headphones, it is easier to damage your hearing and you may get your ears overexposed to loud music. This would badly affect your hearing and can cause some permanent damage too. So while you use some best headphones for digital pianos or for any other application, make sure you hear at normal volume and avoid excessive use of it for longer durations. Affects can be worse over long run but with safety precautions and with proper use; you can make the most out of these headphones.